Fear comes in many forms. What scares you? Featuring A-list storytellers like Stephen King, Quentin Tarantino, Jordan Peele, Jason Blum, Robert Englund, Linda Blair, Tippi Hedren, Rob Zombie, Haley Joel Osment, Jack Black, John Landis, Jamie Lee Curtis and more, Eli Roth’s History of Horror brings together the masters of horror – icons and stars who define the genre – to explore its biggest themes and reveal the inspirations and struggles behind its past and present. Each one-hour episode will take viewers on a chilling exploration of how horror has evolved through the eras and impacted society, as well as why loyal fans remain addicted to fear. 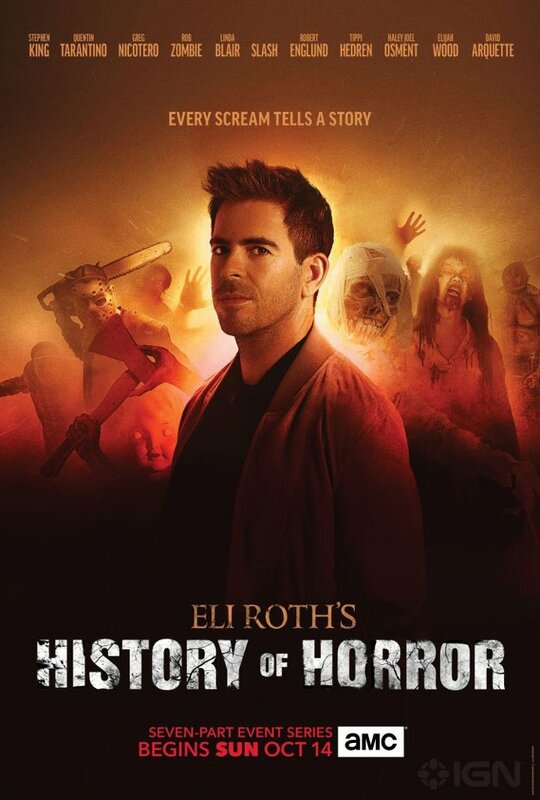 Don’t miss the series premiere of Eli Roth’s History of Horror on Sunday, October 14 at midnight/11c.